Ideal for most outdoor cleaning projects. 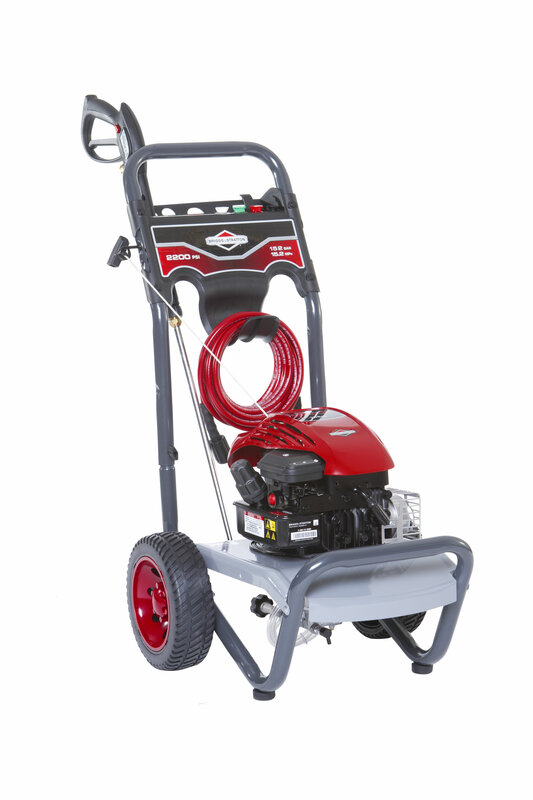 This light weight unit is powered by a Briggs and Stratton 550 Series™ Engine for performance and reliability. Features include never flat puncture resistant wheels and a light frame make it easy to move around the house.